Lease Templates is the recommended agreement by the lessor to the lessee or vice versa where the conditions for the rented property are favorable to both parties. It is similar to lease renewal template accessible in Microsoft word, excel or pdf file can make amendments in a dealership document to make it constructive not only to the tenant but to the owner also. 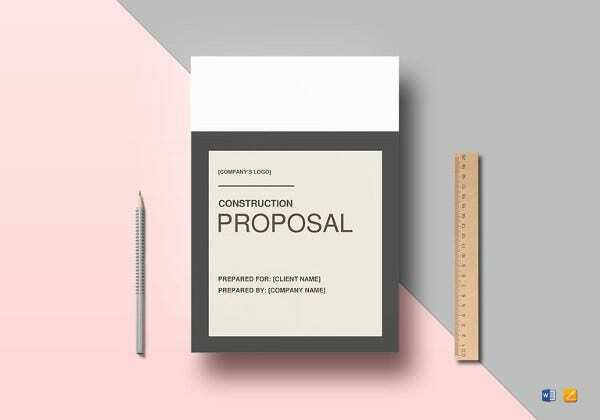 In this kind of template, there are always suggestions and modifications are inevitable, fortunately it has features that can change any terms and its formats the way it can be settled to make it usable for the rental agreement that will take place. You can also see Rental Lease Agreement Templates. 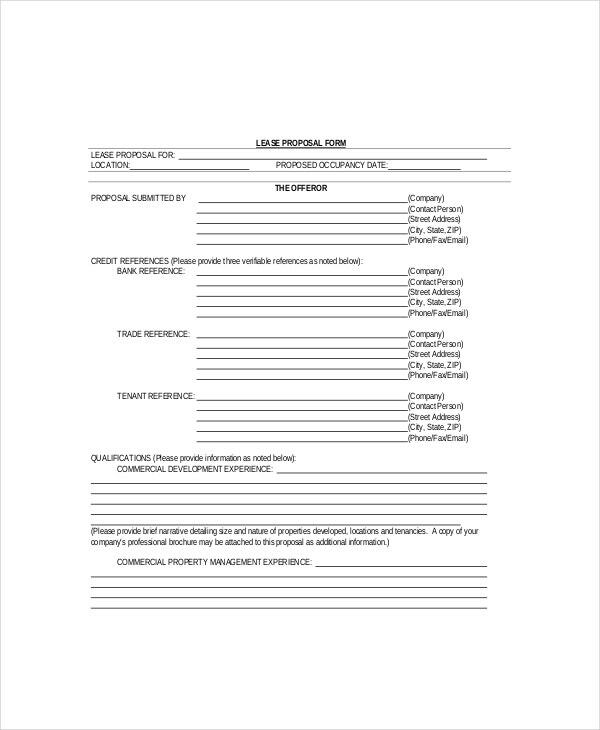 Dealing with property owners and realtors can use this template to make the agreement and documentation process as easier. However, designate whether it is for commercial use, office space or retail. 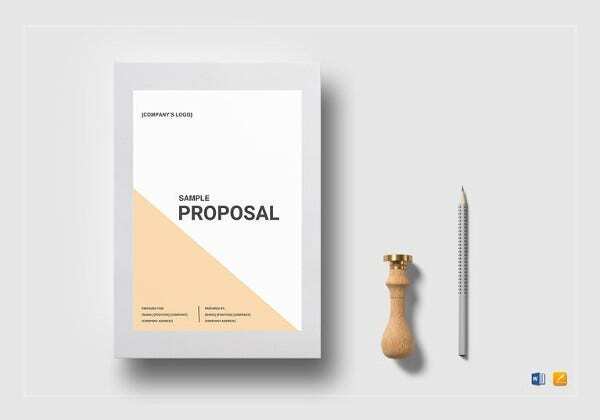 In order to take arrange to take over a lease for business spaces, people will have to submit a proposal to the landlord in a perfect way. This is one kind of formal document that is written when the person agrees to lease the space. The document includes a statement of intent to lease space. Apart from that, it also includes some terms and conditions between the parties those who involving in the space leasing process. Lease proposal also includes the time duration of the lease. 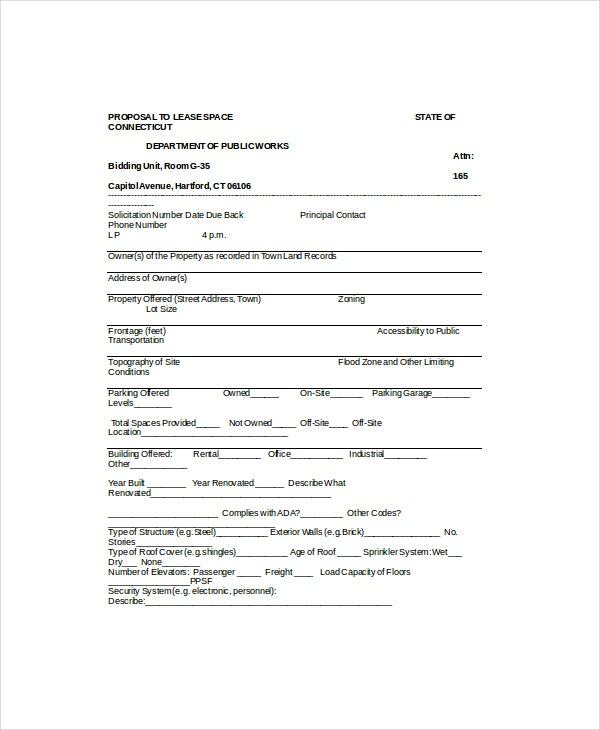 When you apply to lease a commercial property you can set the document with complete details about the property. It can be used as either counter offer or initial offer to lease a commercial space for the business. This is a simple way to express your interest in leasing your commercial spaces. It suits for many people can take advantage of it. 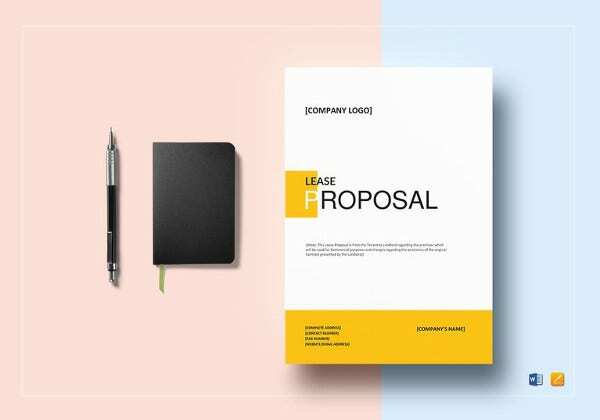 A document is widely used by lessor or lessee to written down the essential information and condition for leasing particular space is called lease proposal template. 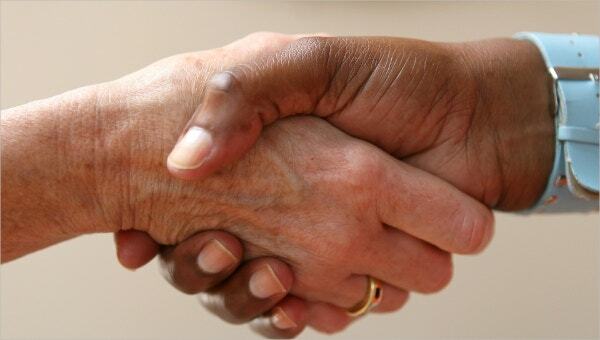 People those who like to lease the commercial spaces or any other property they want to have taken over the lease. This is a special approach can reduce significantly start up costs effectively. In order to arrange to take over a lease for commercial spaces, you will have to submit a lease takeover a correct proposal to the landlord. The leasing of property can save your money when you use the template. You can also see House Lease Templates. 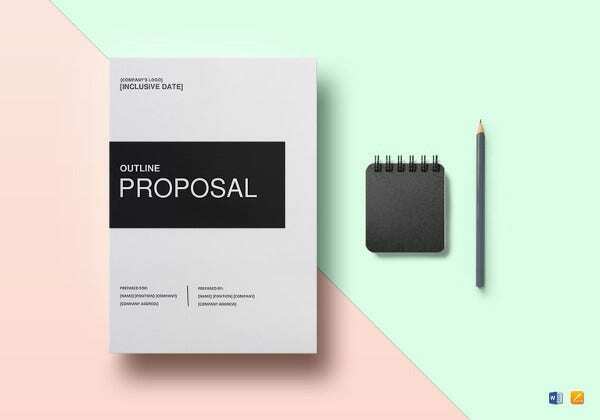 Use the proposal template to get starts your proposal making process. The templates are crafted by constructors. 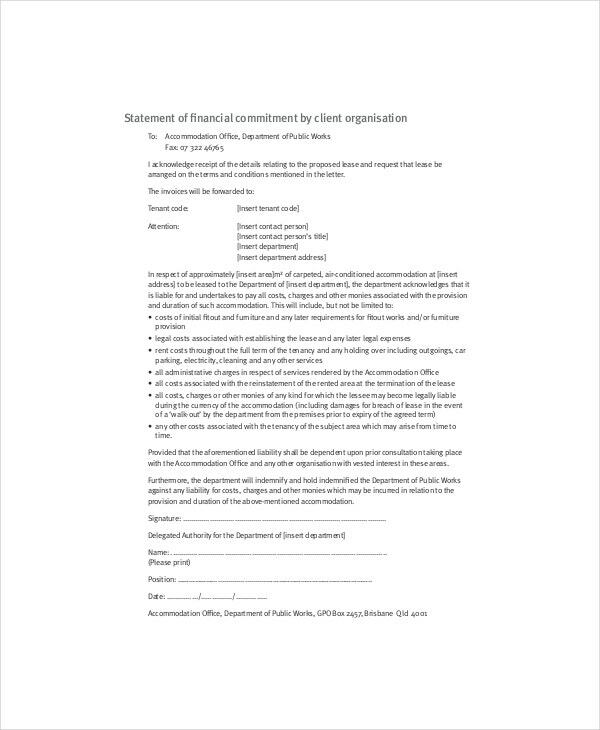 The customizable legal document will reflect the client needs. Apart from that, it helps to shape your business. The templates are available through online, so you don’t travel distance for buying the template. However, this is the best method to leasing your property to anyone. With the use of the template, people can feel more convenient when they involving in leasing or renting their property. People those who like rent or lease property they want to use the proposal. 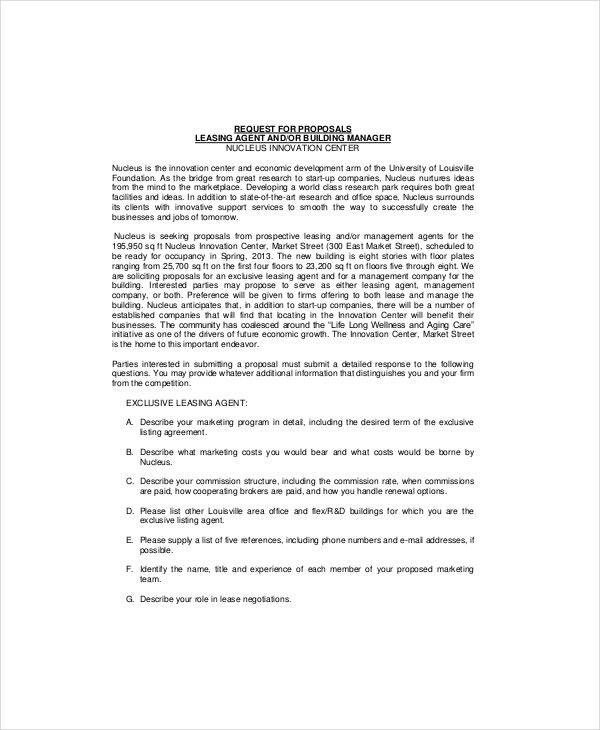 This is a document is considered as a leasing document. Apart from that, it could be used between a user of the property and the property owner. The commercial space agreement gives the right to operate his or her business space. Different types of property lease templates are available. Apart from that, the real estate business people can also allow using this kind of template. Leasing is very popular with business owners. It gives a facility for business operates in leased for the entire existence. Even it can also use by stakeholders property owners and investors. You can also see Apartment Lease Templates. The customizable template is available at online, people can use the template and then make it for their use. There are many reasons why people want to use the template. The legal document is an assurance of the process of leasing property. The technology is improved, so you don’t meet lawyers for getting this kind of document. Simply search the online and then find the right template for the specific leasing property. The following tips or instruction help people to write template own. Use external and statistics, make verification of the date add credibility to the proposal while make sure all information is relevant to this process. If you use diagrams and graphs make sure these are clear as well as easy to understand anyone. Additionally, add another type of information if it will support in the process. 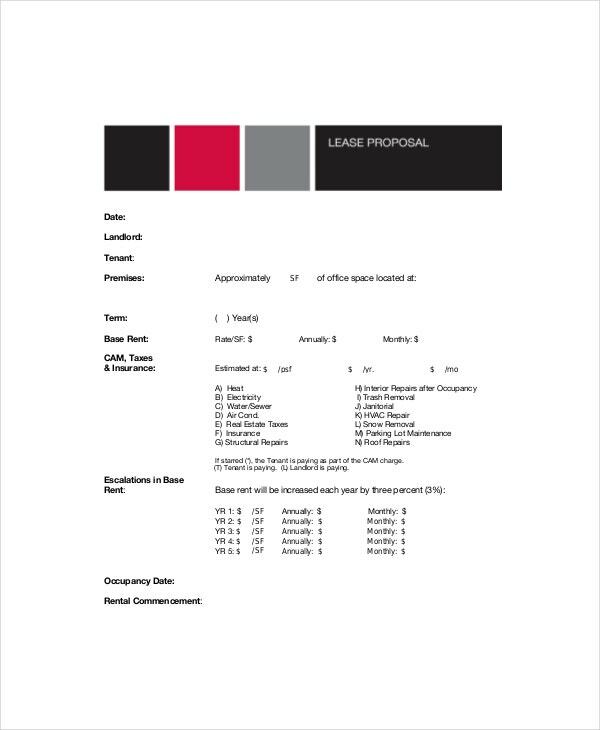 Our lease proposal template includes complete information about the property leasing. And also includes the amount of leasing, so make use the template for your leasing process. Our templates are available at online people can easily download in the form of PDF and word. Therefore, take advantage of our templates to make the leasing process is easier.